CHICAGO — Nebraska finished with a flurry on the recruiting trail after Scott Frost was hired, finishing with the top-rated class in the Big Ten West. After the class was signed, the status of three players was up in the air. One of those players was offensive lineman Willie Canty, who announced on July 10 that he will instead head to Garden City Community College in Kansas. 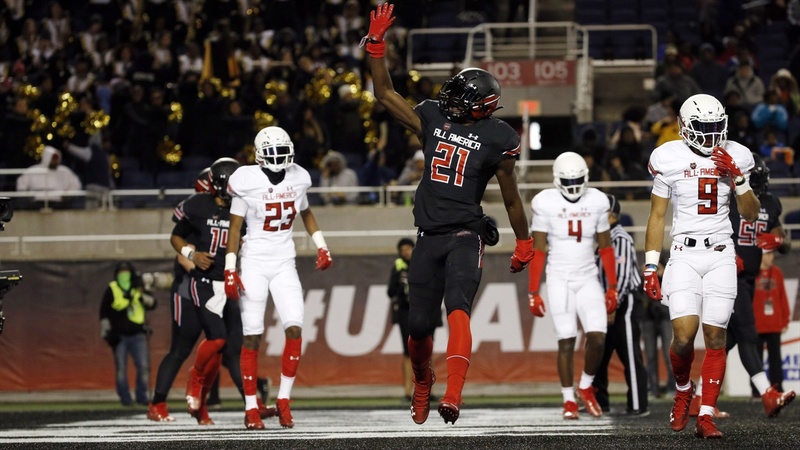 As for 3-star wide receiver Dominick Watt‍ and 4-star running back Maurice Washington‍, both are still waiting on official word on whether or not they qualified. Coach Scott Frost addressed the status of both on Monday. "There are two or three kids we're still waiting right up until the end with but we're very optimistic about those two," Frost said. "Hopefully they'll be in our program. We think they're both special players who can help us." Watt, from Hollywood, Fla., was a nice get for Frost and offensive coordinator Troy Walters. Aside from senior Stanley Morgan Jr., Nebraska doesn’t have any proven options on the roster to fill the role of a more balanced receiver. Nebraska hopes redshirt freshman Jaevon McQuitty can fill that role once Morgan graduates, but adding Watt would give them another option. Washington, from Trinity Christian High School in Texas, is an extremely talented player. He showed his entire skill set during the Under Armour All-America Game. He was named MVP that day after putting up an impressive performance that included a rushing, receiving and special teams touchdown. Based on Frost’s comments, the status of Watt and Washington may not be known until later in August.